Kimberly Franklin: Tag... I'm it! First of all, it's Thursday! Yippee!! Secondly, I'm beginning to think the brilliant idea to have a Twilight contest, where Kristi and I actually have to judge writing pieces about our beloved Twilight, might not have been such a great idea. For one, I'm probably the most indecisive person you will EVER meet! Which makes it kind of hard to judge a contest, don't you think? Plus, all of the entries are so good that I'm seriously considering just buying more prizes to give away. But if I did that, I think Kristi and my hubby might kill me. So.... Kristi and I are left with a hard decision to make by tomorrow. Sounds fun, huh? Anyone want to trade places with me? Hmmm.... anyone??? Well, since no one offered to trade places with me (how selfish! ), I think I'll move on to something a little more fun! YAY! I like staying up really, really late (to write. It's when the best ideas come to me, unless I'm tired and then I just repeat myself. A LOT!). I like going to Barnes and Noble just to wander around the store. I like shoes! Buying them, wearing them, or even just staring at them. I adore shoes!! I just had to show you this one because I LOVE my wall flower! I like spending time with friends. I love writing & blogging!! I love my family (even though they are crazy!!!) and my oh so cute nephew! Today (Thursday) has been very, very hectic (and the day is just starting). I hate when I doubt my story and my characters. I hate when I'm so busy that I have no time to write or even think about writing. I hate that some of the coolest people I've met live way too far away from me. I hate most vegetables! Yuck!! I hate that I'm slightly OCD (hehe... yeah right!!) and that I feel the need to make everything perfect. I hate having to work when all I really want to do is write. I (secretly) like editing my WIP (hehe... shh... don't tell anyone!). I love blogging buddies and everyone I've met through blogging! You guys ROCK!! I can't wait to here these ladies answers! Okay, so I hope I didn't bore you too much. Now I must get back to judging the Twilight contest entries. And be sure to come back tomorrow when we reveal the winners of the Twilight Contest!! Your bathroom is beautiful. Good luck in judging that contest. I'm glad I'm not you. I don't like telling people "sorry you didn't win but she/he won..." so good luck hey. Your bathroom is gorgeous!!!! I don't know what you spent but it was well worth the money!!! Better than a top notch hotel!!! Love it! 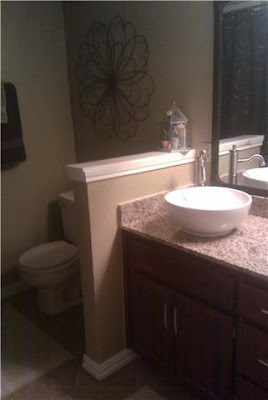 Your bathroom looks awesome. I like the big flower, too! I just do not have a knack for decorating. I actually decorated the kids' rooms very cute, but other than that. Eh. A bunch of talented writers entered the Twilight contest, it's no wonder it's so difficult to choose!! I bet they are fun to read though!! Bernadine - Haha... I think we will need it. Thanks!!! Kelly - You don't know how hard it is to choose. I think we might have to outsource the judging. Lol. Have a great vacation! Fun post, I love your bathroom designs. Those sinks are so pretty. And HGTV is great, I agree. There's just something so comforting about their shows ... Good luck judging! Love your loves and your hates. Very funny. And your bathroom looks lovely. The taps, they're gorgeous. Ahhh...I love your bathroom! I have about ten ongoing home projects. Completely my husband's fault. I also hate cleaning. But I hate my house being dirty or cluttered so I force myself. It is a horrible situation. Good luck with judging the contest! Marsha - There are always a million projects going on at my house... and they're all my fault! Lol. What can I say? I love to be busy. E and I are HGTV nuts too! I heart those above-counter sinks; I really want some when we finally build a house, but E doesn't like them. *sad* There are so many different cool ones to choose from, though! Loved the list! Actually, although I don't like cleaning, when I'm stuck in my WiP I do it all the time.. :S Just a weird habit I picked up. P.S. That bathroom is so aces I COULD LIVE IN IT! I adore the wallflowers, so beautiful. I love all your likes! And I love your bathroom. Those sinks are seriously cool. Haha, I like editing too. It's the only time a person gets to just go into robot mode and weed the manuscript. I can't wait until I get to that stage again. 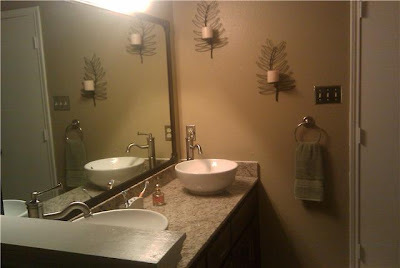 Great answers, and your bathroom is gorgeous! Glad to hear you are a fellow veggie-hater. Blech! I love your wall flower, too! That bathroom is gorgeous! :-) Thanks for the tag. Shannon - Thanks! Have a great day!! Home improvement projects I leave in the hands of my wife and her mother. I just make myself available for the heavy lifting, that's the extent of my involvement...and interest. Now if you needed to set up a home entertainment system complete with surround sound, I'm your guy! I hate feeling rushed also! 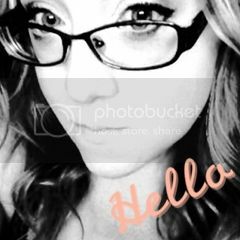 Sarahjayne - Thanks! Happy Thursday!! Dude, that bathroom sink is sweet! I really want to remodel/redecorate... but I'm lazy and "poor" lol. How fun! And your renovations are fabulous! Kat - Thanks!!! I hope you have a great night!! And your bathroom looks fabulous!!! And yes, Shannon at Book Dreaming is the bomb. Love Her!! I must admit that you bathroom looks FANTASTIC!! The faucets are quite fabulous as well! & YOUR wall flower is quite magnificent! Nice bathroom, Kimberly! And I love your wall flower, too! Everyone - Thanks guys! I hope you have a great weekend!